ABC Soup is undeniably the all-time-favorite to many families! The reason is simple, as its name suggest, it is as simple as A-B-C to cook and delicious to drink. We also found that ABC also refers to the nutrition content of this recipe, such that Vitamin A (from the Carrots), Vitamin B ( from the Potatoes) and Vitamin C (from the Tomatoes). 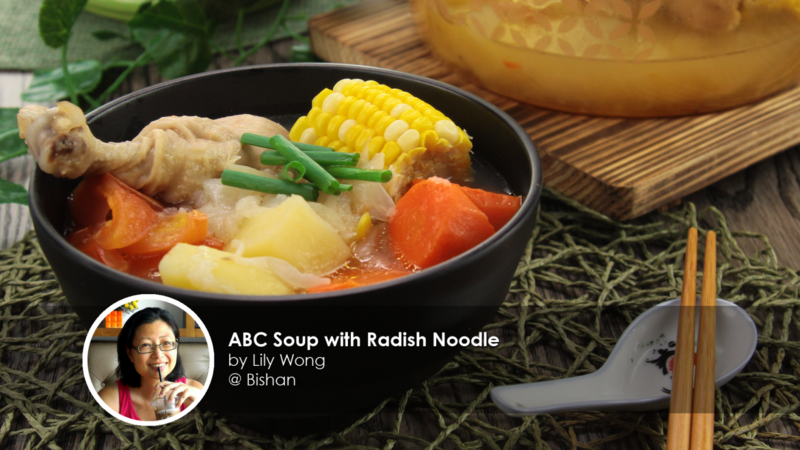 This week, our home cook, Lily Wong gave a twist to the ABC soup recipe. 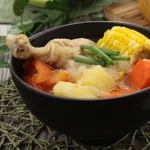 Not only did she add in Corn and Chicken drumstick to sweeten the soup, she have added in spiralized Radish noodle to make it a comforting carb-free meal! 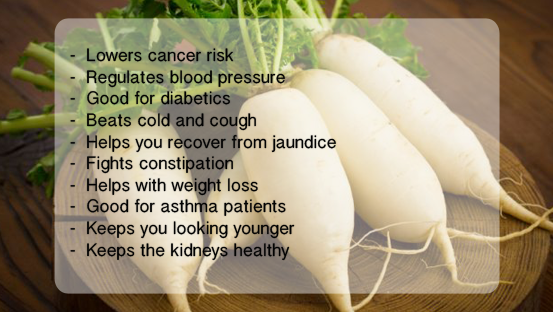 Radish is high in vitamin C, dietary fiber, antioxidant and more. Check out the health benefits below! Add sweet corn and celery into the pot, cook for 15 mins. Remove the celery from the pot. Add in the rest of the ingredients, except for tomato. Simmer for 50 mins. Add in tomato and simmer for 10 mins. Place the radish in the spiralizer and shred it into noodle form. Place it in the colander, place a bowl at the bottom and let it dehydrate in the refrigerator till the soup is ready. Rinse before using. 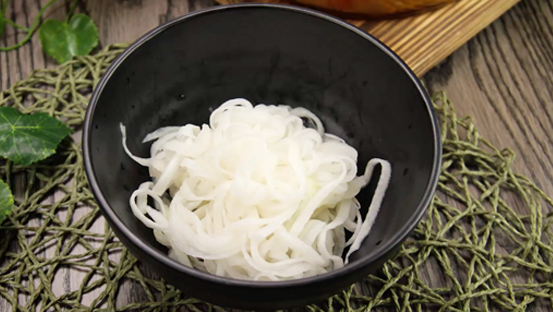 Portion the radish noodle in the serving bowl, pour in the hot soup over with ingredients.